Will Seattle’s vintage streetcars make a triumphant return to the waterfront? Seattle’s central waterfront is getting a huge, decade-long face-lift: a new tunnel for State Route 99, a new ferry dock, a new seawall, pedestrian promenades, maybe even a mist machine to remind summer visitors that they’re in Seattle. But so far, there’s no sign of those antique streetcars that rumbled down Alaskan Way in the 1980s and ’90s, captivating so many Seattle visitors. James Corner Field Operations, the New York City–based firm designing the waterfront, did not include the George Benson streetcars in its plan last July, but earlier this year, the city commissioned a study to see if they could fit in. Recommendations are expected this month. The reconsideration tempts the dreamer. Fans of the streetcar hope that the power of history and some real economic and transit benefits will prevail to resurrect this distinct transportation option. 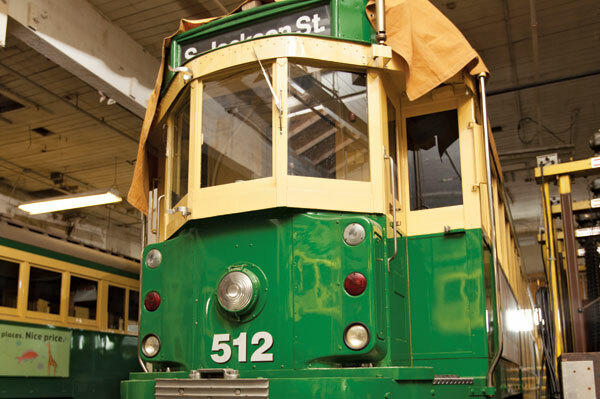 The Benson streetcars were built in Australia in the 1920s and saw long use on the streets of Melbourne. 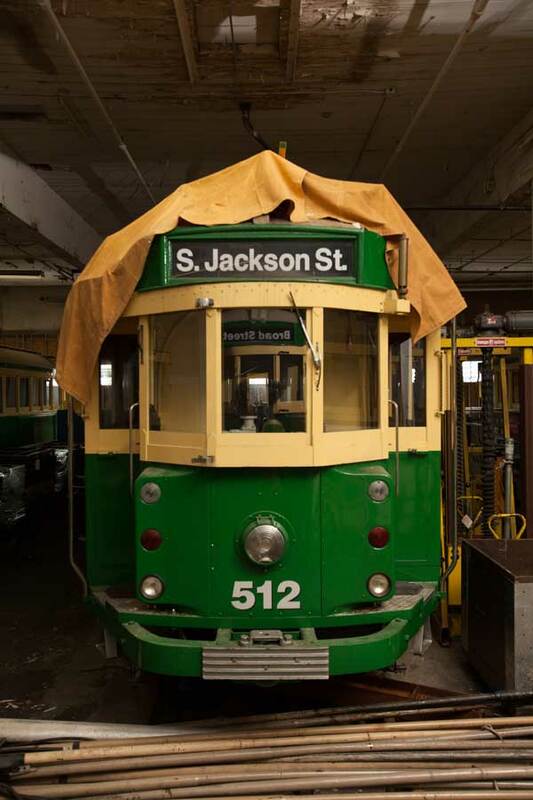 In the 1970s, after the Seattle City Council approved fellow council member George Benson’s idea for the streetcar service, the self-described “trolley nut” traveled Down Under. Having seen two of the five cars that would ultimately come to Seattle, the story goes, he whipped out his credit card and bought them on the spot for $5,000 apiece. In Seattle, the streetcar entered service in 1982, and what some had called “Benson’s folly”— the city had abandoned its last streetcar line in 1941—became a much-loved fixture of Seattle life. But the line was discontinued in 2005, when the streetcar service barn, at the 1.6-mile route’s north end, was razed to build the Seattle Art Museum’s Olympic Sculpture Park. The streetcar had many fans, but art’s constituency proved stronger. Plans bubbled up for a new streetcar barn near the Port of Seattle’s Terminal 86 and in Pioneer Square, but went nowhere. Metro threw the Benson fans a bone by introducing a waterfront bus decked out in the streetcars’ distinctive green-and-cream paint scheme, but when Metro reconfigured the bus route to run northbound on First Avenue, eventually the streetcar “wrapping” disappeared. It does appear that mahogany has no role in Seattle decision makers’ love affair with modern streetcars. Sound Transit’s First Hill streetcar, to be launched in 2014, will complement a Westlake-to-South Lake Union service, which opened in 2007, likewise with sterile, modern cars heavy on the polymers. There’s talk of a “central” streetcar to connect those two services, probably along First Avenue, but the current city-sponsored study “is only looking at transit choices on Alaskan Way,” says city spokesperson Rick Sheridan. One possible home: St. Louis, which is launching a streetcar line in a resurgent neighborhood and specifically wants antique cars. “We would definitely be interested,” says Joe Edwards of the Loop Trolley Transportation Development District, which is superintending the initiative. Modern streetcars won’t do for St. Louis because its level-boarding design, which facilitates access by wheelchair, would require big modifications to the streets and thus run up the bill. 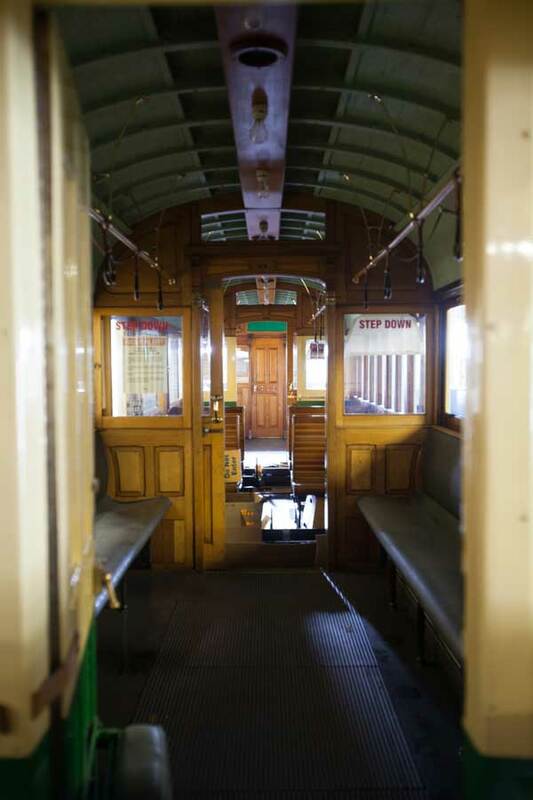 The antique cars will operate at the existing street level, with disabled passengers boarding via lifts retrofitted into the cars. Edwards pegs total capital costs for the project at roughly $19 million a mile—versus about $54 million for our First Hill line. The Missourians have paid approximately $300,000 for each of the two cars they already own, as opposed to $3 million to $4 million for a modern streetcar. A private nonprofit will run the St. Louis operation. The potential budget benefits aren’t limited to capital costs. In its last year, the Benson streetcars recovered about 16 percent of their expenses through fares, but some of those expenses, advocates point out, could be cut next time around. In the past, in addition to the motorman, each car had a second employee on board, a conductor to collect tickets. New fare-payment technologies could eliminate the conductor’s role, trimming labor costs. Or volunteers could contribute some labor, as is planned in St. Louis. According to the American Public Transportation Association, many heritage streetcar operations already rely on volunteers. In public transit, which is heavily subsidized, a 16 percent “farebox recovery” is not necessarily low. Indeed, vintage streetcars can be healthy revenue generators, especially when compared to buses. The boxy old Benson vehicles drew about 22 percent more riders (in 2004) than Metro’s replacement bus two years later, notwithstanding the latter’s nostalgic paint job. A study performed for the St. Louis planners concluded that a streetcar would draw 70 percent more riders than a bus on the same route. San Francisco’s legendary cable cars recover almost 45 percent of their operating costs through fares, while that city’s buses recover only 29 percent. The current review of the Benson line isn’t the first. A 2011 study performed for the Seahawks, Sounders and Mariners found that the Benson line could be reactivated for between $10.3 million and $12.7 million, depending on its northern and southern termini. The study did not include costs for minor improvements to accessibility for disabled travelers, and did not foresee replacing tracks that have since been removed to dismantle the Alaskan Way Viaduct. Surprisingly, given who funded the study, the analysis favored a couple of different route alignments for a restored Benson, but rejected one that would serve CenturyLink and Safeco fields. The Benson streetcar’s absence leaves a blank slate for myriad speculative route configurations, including some not in the 2011 study. In 2012, Seattle Times columnist Danny Westneat proposed sending a revived Benson streetcar past both stadiums and the newly planned basketball arena, with a southern terminus near Starbucks’ Utah Avenue headquarters. And how about stretching Westneat’s route past Starbucks to connect with light rail at its South Lander station? And what about to the north? In 2005, the Port of Seattle proposed bringing the line up a little past Terminal 86. Paige Miller, then a port commissioner who championed that possibility, says the line could have gone even farther north, through Interbay. Not far north of that looms transit-challenged Ballard. The central question, however, is not routing, but the value Seattle’s decision makers place on nostalgia. Nostalgia may be quirky, to use Sacharoff’s term, but it draws a crowd. “We would pack ’em in during the summer months,” he says. And, in this case, nostalgia’s coincidence with transit needs along a revived waterfront, and to and from major sports venues, may be enough to tempt the realistic planner, too.